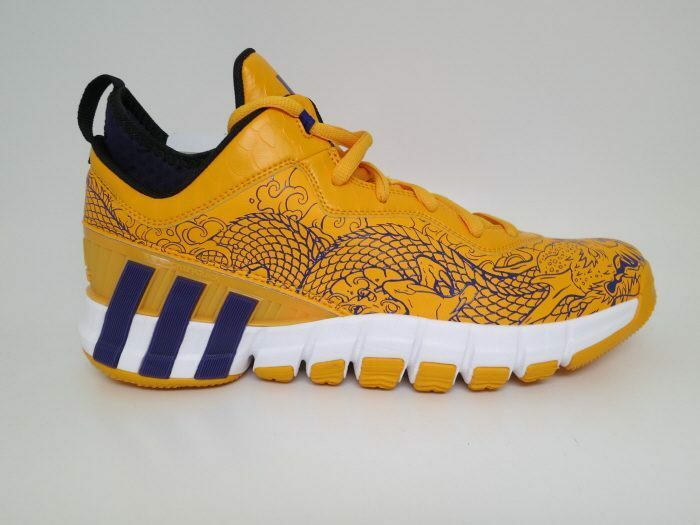 adidas x Jeremy Lin ‘Dragon Pack’ P.E. I don’t usually mess with adidas basketball, but these are FIRE! Its only right that Jeremy Lin gets a P.E. because… well why not? He is a good player and a big part of the Lakers franchise, so now he can rep his team and his name on his feet. 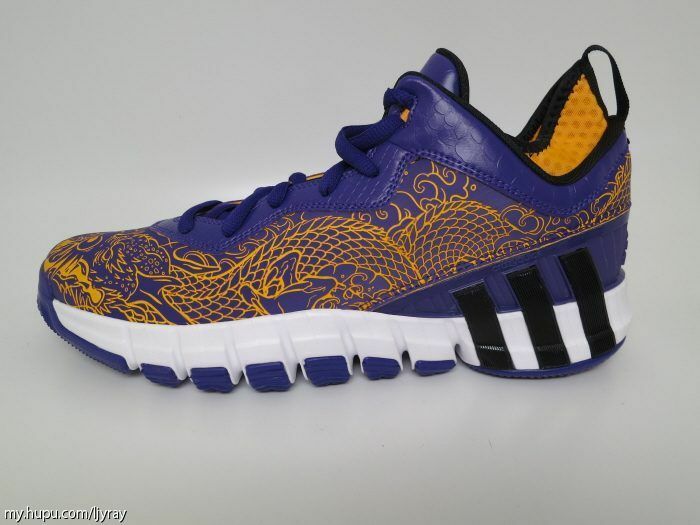 The adidas CrazyQuick 2 proved to be a pretty decent performer, and the low top version fit some players better, Jeremy Lin included. 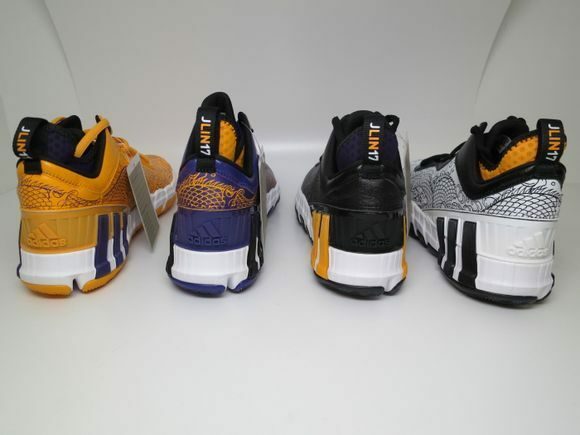 Featuring the Lakers colors, these 4 pairs of shoes represent the team very well. 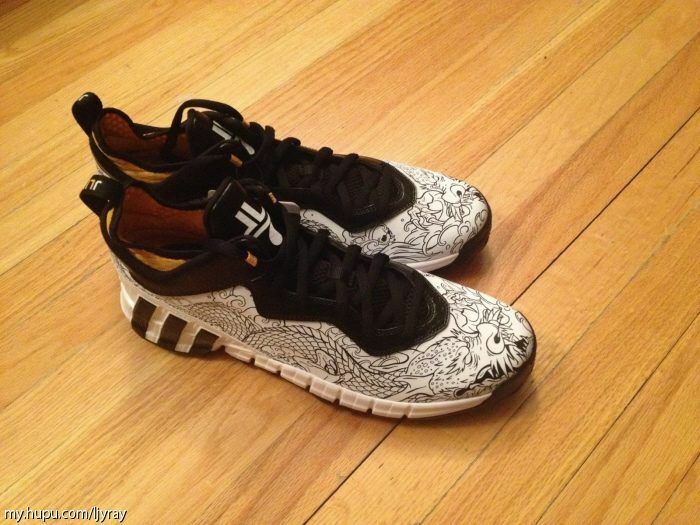 But, Lin also added a bit of a personal touch with the ancient-looking dragon art on the upper of the sneakers. 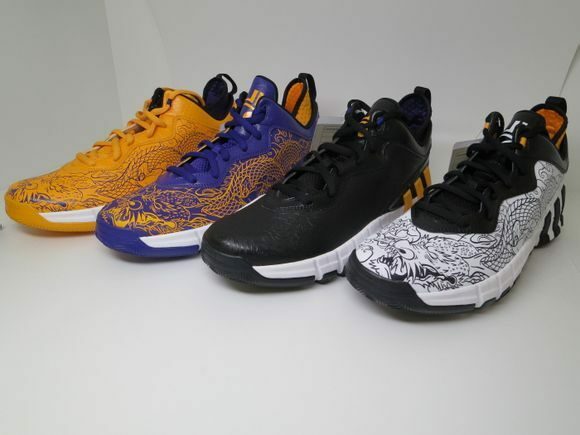 Props to J Lin on getting some really nice P.E.s that fit him perfectly. Which pair do you like the most? I’m copping a pair of those black and white pairs. Seems like theres a neoprene/mesh like inner sockliner……..is there any performance benefits that it may give which are better compared to the usual crazyquick low 2 sockliner? Basically they seperated the TechFit(now inner-sock), and SprintWeb(now shell), which does 2 things, it raises the comfort-levels a little, and it allows a more adaptable softer fit. Personally I think they should GeoFit the TechFit sock(2 pods at each side of the achilles) to add to lockdown too, because especially a thin TechFit could be too forgiving(like it is for many on the Lillard 1). I’m sorry, but did u say he was a good player?! U need to start watching basketball my dude. He doesnt deserve his own P.E . Under him and the rest of the scrubs called the “lakers” they have like the second or third worst record in the league. Send J lin to the Dleague. There are over 500 players in the nba and Jlin is currently ranked 129th in fantasy. If you’re struggling to process what this means, you were probably born dumb. Not your fault. You didn’t ask to be that way. In my opinion if you’re playing in the NBA you’ve achieved greatest no matter what the outcome is,, Jeremy Lin has competed and earn his spot on a NBA roster,,kudos to him!